King and Queen were sitting in their palace one day, a fisherman who was selling fresh fish was brought in front of them. The King decided to buy a fish and gave the fisherman 4000 dirham for it. The fisherman was overjoyed. He thanked King and left. The Queen turned to her husband in anger and scolded him for paying so much for a fish. The King let her have her say but said that the fish was purchased and that there was nothing that could be done about it. Fortunately, he was clever enough not to be caught out. The King was so impressed by the ingenuity of the man that he ordered a further 4000 dirham to be paid to him. 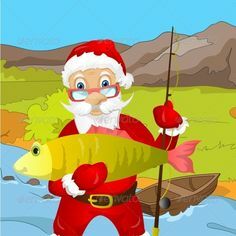 The fisherman thanked the King again but as he was about to leave with the heavy bag of money, one of the coins fell onto the floor. The fisherman immediately bent down to look for the coin. The Queen was already upset that the fisherman had been given 8000 dirham. The King was so happy with this response that he immediately called for another 4000 dirham to be given to the fisherman. When Queen saw all this, she thought it was better to hold her tongue and let the man go with the 12000 dirham before the King decided to increase the amount again. Speech is an Art. If one knows what, when and how to talk then such a person will be successful in life. “The beauty of man/Woman is in the clarity of his tongue”. “Your tongue is the translator of your intellect”.